Moto2 riders have enjoyed three days of testing at the Qatar circuit before the first official Grand Prix of the season, also at the Losail track, gets underway this coming weekend. 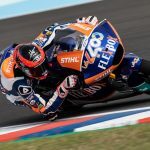 Augusto Fernández and teammate Lorenzo Baldassarri faced the test with great enthusiasm after the good feelings shown in Jerez the week before. 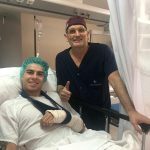 Augusto, already recovered 100% from the discomfort in his shoulder, finished the three days with very good feelings with his Kalex. The spanish rider of the FlexBox HP 40 has done a very good job with his technical team and stopped the clock at a best time of 1:58.757 which puts him in fourth position in the combined times – A very good time that fills him with enthusiasm and motivation to start the season. 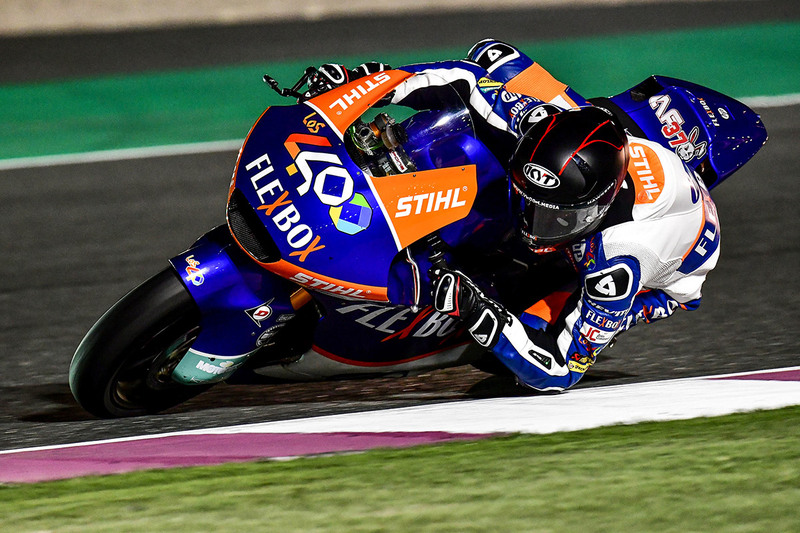 The FlexBox HP 40 will return to action next Friday March 8 with the dispute of the first grand prix of the season under the spotlight in Losail, Qatar.